$5 OFF PROWASH Package in West Columbia, SC! You pay $24.95. Coupon valid at Sunset Car Wash in West Columbia. Includes: Basic Wash, Vacuuming, Windows,Tires, Rims, Dash, Triple Foam, Rain-X and Fragrance. $2 additional charge for SUV's & Trucks. One coupon per party. Not valid with any other offer. With Valpak® coupon only. Coupon void if altered. Expires 05/04/2019. Come experience our Quality Full Service Car Wash & Complete Car Detailing Services. We provide Full Service Car Washing including Vacuuming, Windows, Hand Drying, Detailing. 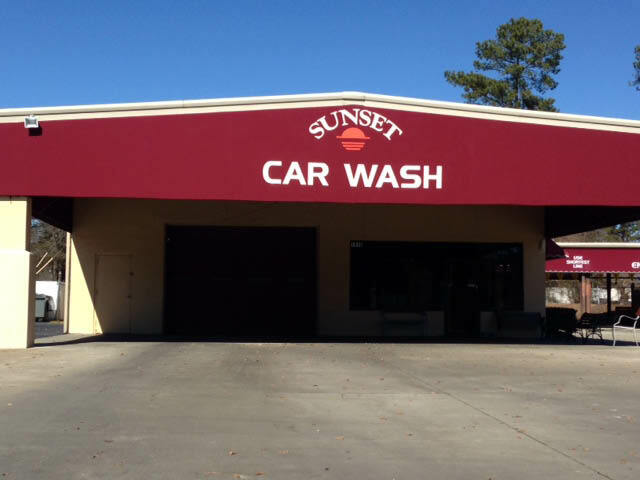 Sunset Car Wash is located on Highway 378 in West Columbia. Gift Cards and Unique Automobile Accessories available in our Lobby. We serve Columbia, Lexington, Irmo, Shandon & Forest Acres. Visit us at http://www.sunsetcarwashsc.com! - Full Detailing, - Car Washing, - Interior Cleaning & Fabric Protection, - Protective Coatings, - Tar Removal, - Tire & Wheel Cleaning, - Full Service Car Wash, - Interior Cleaning. Downtown, Shandon, Forest Acres, Irmo North, Irmo South, Irmo West, Long Creek, Lake Murray, Ballentine, Lexington North, Lexington South, Lexington East, Lexington West, Northeast Lower, Northeast Upper, Sandhills, Veteran's Administration. Value is everywhere at sunset carwash!, We track your frequency of visits by entering your license tag into our computer and..., Every 10th wash is free!. THE PROWASH - 29.95* This is our famour 20 minute car wash. Includes vacuuming, windows, Triple foam conditioner, clear coat sealer, tire shine, wheel cleaning, trim dressing, dash dressing, RAIN-X on the windshield and your choice of fragrance!. THE DELUXE - $25.95 * Includes vacuuming, windows, clear coat sealer, wheel cleaning, tire shine and your choice of fragrance!, THE DEAL - $22.95 * Includes vacuuming, windows, clear coat sealer, tire shine or wheel cleaning and your choice of fragrance!, BASIC WASH - $17.95 * Includes vacuuming and windows. *CAR PRICING ONLY* Add $2 for oversize vehicles (trucks, vans and SUVs). We have been satisfying customers for over 20 years! It is locally owned and operated by car wash veteran Tim Lamont. Tim takes great pride in delivering fast, quality service in a comfortable enviroment making for a positively unique experience!.